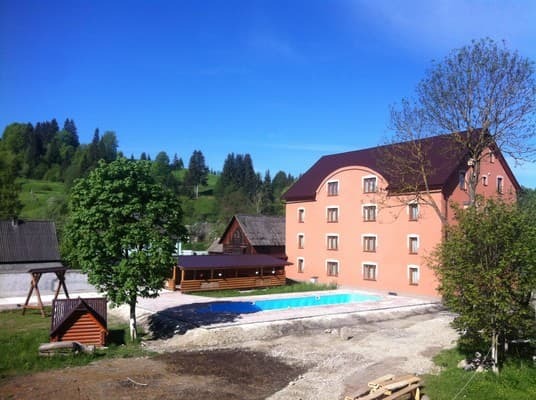 Tourist Hotel Complex "Hutsul" is located in the village of Black Tisza, in a picturesque and stunning location. Each room is decorated in a modern style with elements of Carpathian decor and equipped with all necessary furniture. 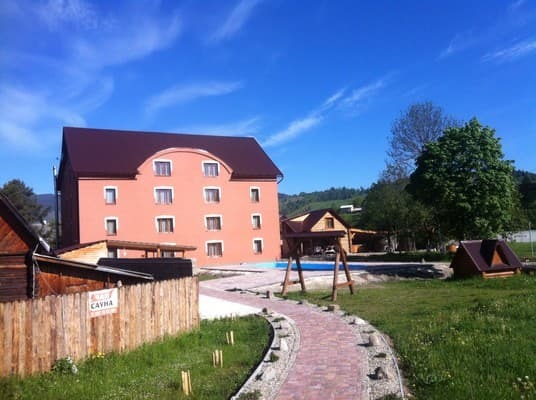 If vacationers wish to taste the delicious dishes of the Carpathian or traditional Ukrainian cuisine, you can visit the restaurant Koliba, which is situated directly at the hotel-restaurant complex "Hutsul". Also, every guest have the opportunity to sit with a blanket and enjoy the beauty of the lake. 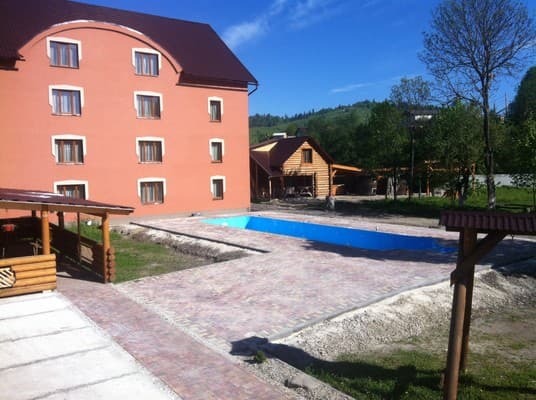 The on-site sauna, where visitors can rasslabitsya.Tak also operates on the territory of an outdoor swimming pool, which can be an additional vospolzovatsya platu.Dlya campers enjoy free use of Wi-Fi on site and kolyba, as well as parking. By prior arrangement possible organization of banquets, corporate events, excursions. For a surcharge, a shuttle service. The distance to the ski resorts "Bukovel" - 15 km, "Dragobrat" - 16 km. 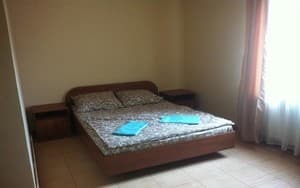 Description of the room: Comfortable triple room with a large double bed with orthopedic mattress and a single bed or with three single beds. Room is equipped with all necessary furniture and individual sanuzlom.V price includes 2 meals a day. 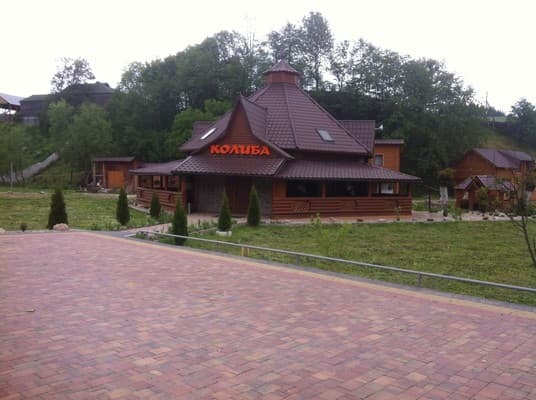 Guests can visit the restaurant Koliba on site. 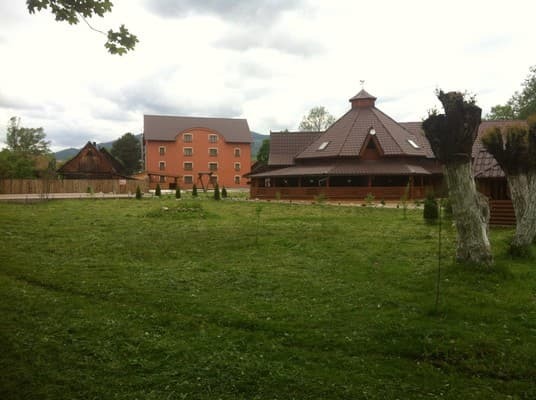 Tourist Hotel Complex "Hutsul" is located in the village of Black Tisza. The distance to the ski resorts "Bukovel" 15 km "Dragobrat" - 16 km.